TOKYO — Japan's whaling fleet will leave Tuesday for the Antarctic for a three-month, scaled-down hunt, the government said, despite protests from opponents who say Tokyo has not proven that whales need to be killed for research. Monday's announcement comes days after Japan submitted its final plan to the International Whaling Commission after the commission's scientific committee said earlier this year that it was not convinced that whales needed to be killed for research on whale stock management and conservation. The expedition will be the first since the International Court of Justice ruled last year that the hunts were not truly scientific, forcing Tokyo to revise its Antarctic whaling plans. Last year, Japan did go to the Antarctic, but its research did not involve killing any whales. Under Tokyo's revised proposal, it plans to catch up to 333 minke whales each year over the next 12 years, about one-third of what it used to kill, the Fisheries Agency and the Foreign Ministry said in a joint statement Monday. The plan will be evaluated after six years. Australia, which brought the International Court of Justice case against Japan, said it might send a boat to shadow the Japanese fleet. Australian Attorney General George Brandis told the Senate that Australia was "very disappointed" by the resumption of whaling and had taken the matter up at "the highest levels" in a bid to get Japan to change its mind. If diplomacy fails, Australia will consider sending a Customs and Border Protection Service patrol boat, Brandis said. He did not say what role such a boat might play, but it would likely try to gather evidence of illegal conduct. Japan's actual catch has fallen in recent years in part because of declining domestic demand for whale meat. Protests by the anti-whaling group Sea Shepherd have also contributed to the lower catch. 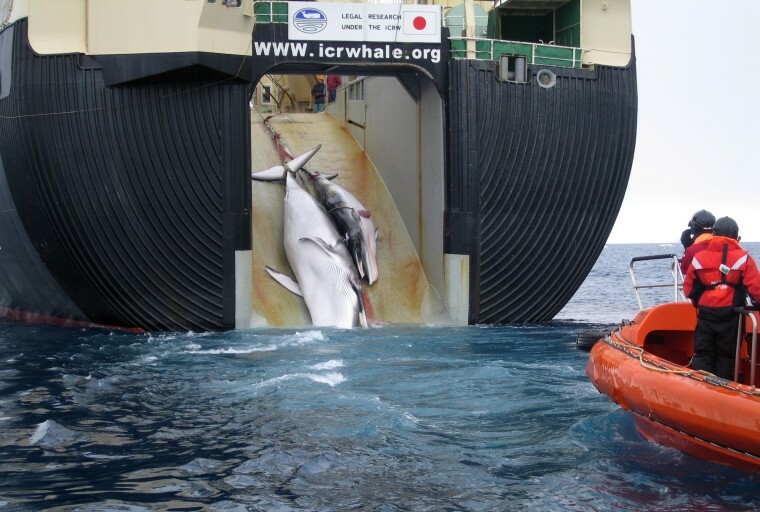 The government has spent large amounts of tax money to sustain the whaling operations. The International Whaling Commission imposed a commercial ban on whaling in 1986, but Japan has continued to kill whales under an exemption for research.